Russian Student Association (RSA) is a student-run organization on the UC Berkeley campus which strives to highlight and enjoy the language, history, culture, and traditions of Russia and former Soviet Union. RSA is organized to inspire exploration and understanding of the Russian culture for members of the Russian speaking, Russian learning, and Russian exploring communities. If you are interested in expanding your knowledge of Russian/East European/Eurasian history, culture, and languages by participating in educational and exciting cultural functions as well as social events and activities – our student organization is definitely the place for you. Being a UC Berkeley student or speaking Russian is not necessary. Everyone is welcome to join us! 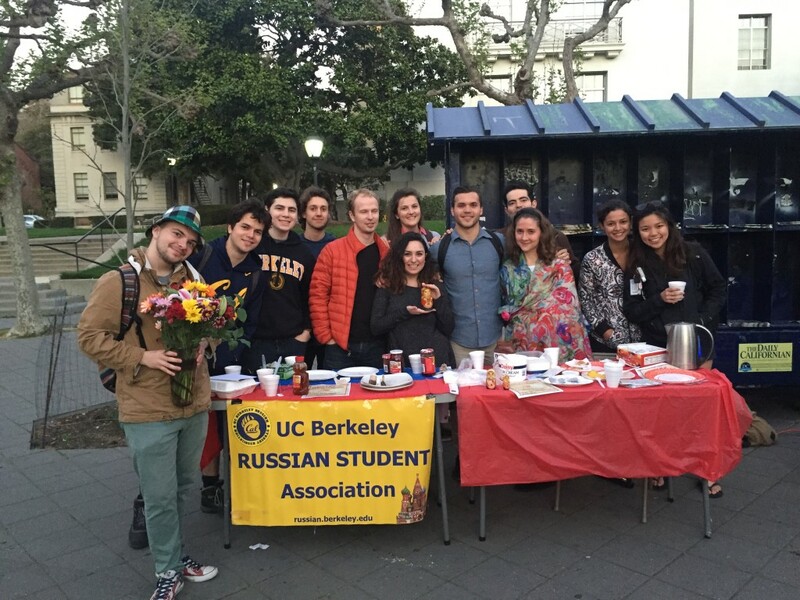 RSA members celebrating Maslenitsa in March of 2016 on the UC Berkeley Campus.